The WOI Affiliate program is a truly global. 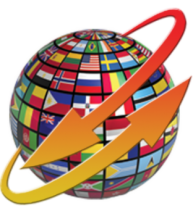 We are now set ready to open into 193 countries with our “Whats On In” theme websites. Offering the perfect opportunity to those in any country the chance to generate an income from the Online Advertising market. You as an affiliate can reach out to people around the world looking for a niche market opportunity. With an estimated 700 Million people always on the lookout for the perfect homebased business opportunity, you will have no shortage of people to connect with.